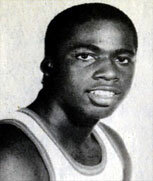 Drafted: Selected by the Boston Celtics in the second round (47th pick overall) of 1984 NBA Draft. The greatest uncle man.. i love you uncle ronnie im on my way to the league next..!!! !